Collision Industry Conference: Who Owns the Estimating Data? Mitchell has announced the release of the 2018 Q3 Industry Trends Report, which features an article by Wayne Krause titled, “10 Tips Every Estimator Should Be Following.” Krause is a 40-year industry veteran who currently oversees the creation of Mitchell’s Repair Standards and NAGS databases. Develop a systematic approach to writing a complete estimate and ensure that it’s repeatable. Most importantly, follow it on each vehicle blueprint. Take the time to be educated on today’s automobiles and the technology associated with them. Anyone who endeavors to repair an automobile should know how the system really functions before they can repair it. The same holds true for anyone that is tasked with writing a damage appraisal. If an estimator is not armed with the knowledge of how systems function or which parts are high-strength steel or ultra-high-strength steel and what estimators are allowed or not allowed to do by a specific manufacturer, an estimator may not be able to write a complete estimate. The importance of doing a pre-scan or health check on every vehicle that comes into a facility will help ensure that every system is functioning as designed. Not doing a pre-scan is like going to the doctor and expecting him to know what’s ailing the patient without verbalizing any symptoms. Photographing everything around the vehicle is just as important as writing a good estimate. Pictures help ensure that everything on the vehicle is captured, including damage associated with the loss and any pre-existing damage. Documenting everything helps remove doubt as to what the vehicle came into the facility with. This an important aspect of writing a repair blueprint. This includes any TSBs, technical bulletins, OE recalls and specific airbag replacement matrices that might exist. 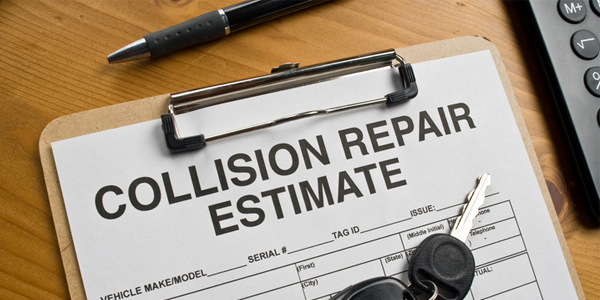 Without the knowledge of how the OE wants the vehicle repaired, it may be difficult to repair the vehicle correctly. Most of the time, repair facilities do an outstanding job of accessing repair procedures and writing an accurate damage appraisal. These repair procedures should get into the hands of the ones actually doing the work and the repair technician. The teardown process helps the estimator see any hidden damages that can easily be overlooked with a simple repair plan without removing components. The best estimators in this industry do a complete teardown, and photograph and write a complete blueprint. There are a number of specialized fasteners and parts that certain manufacturers have deemed as non-reusable. Identifying these at the earliest stages of the estimating process will help ensure that a repair facility is not faced with supplements at the tail end of the repair process for parts that may be special order, or back-ordered, thus affecting the total cycle time. There may be instances where a repair facility may not have the necessary equipment or technician in-house with which to perform certain operations, and therefore will need to sublet those operations. Identifying these early helps ensure the most efficient cycle time on the entire repair. Just as important as the pre-scan is the post-scan – or final health assessment. Everything that a repair facility does on today’s automobile has the potential to set a fault code (DTC) or digital fingerprint. Even simply realigning a mirror or door handle may set a fault code. The post-scan process can help determine whether or not the repair process has been completed properly and safely. It’s at this point where a technician is able to clear any codes that were originally set during the collision or that may have been added through any touch points. Finally, it gives the repair facility the opportunity to provide a clean bill of health to their customer that will delight them in knowing that their investment has been well taken care of.